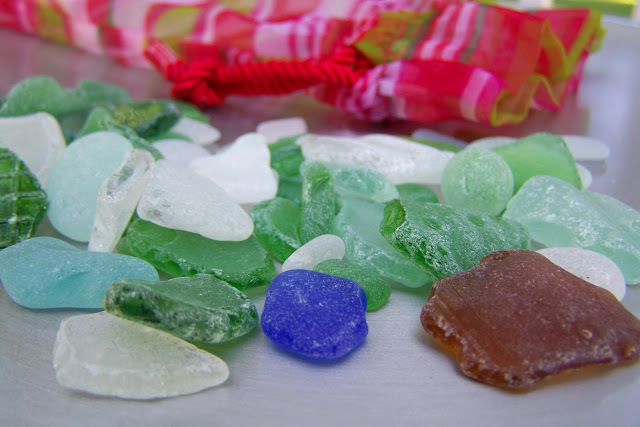 Our findings along Lake Erie yesterday….that blue one is a rarity! Kate tagged me for this fun little quiz you may have seen around blogland. Here goes! 1. What’s your staple meal (ie. what meal do you cook most often when you can’t be bothered to be adventurous)? Breakfast! My kids gripe, but it’s fast and easy and since I don’t often cook a big breakfast we get to enjoy some of our favorites as a meal. It might be eggs or waffles, any leftover potatoes and some fruit. Easy! 2. What do you want to be when you grow up? At some point during college, between realizing that I wasn’t committed enough to the years of schooling required to being a doctor and getting my first C in an engineering class, I decided that I would have many careers in my life. I want to be open to opportunities that come my way. After being completely out of the work force while raising my kids for 16 years I’ve only recently had the opportunity to substitute teach, work at an online fabric company and start an Etsy shop. I still love to be home with my kids and managing my household and helping out other members of the family and community. Although I feel I am always working now, I would love to have my own business with my husband some day….or perhaps a boutique with my daughter. 4. How do you relax? I listen to music, knit, sew, search for beach glass on Lake Erie and/or enjoy a glass of Cabernet or Merlot. 5. What color are the interior walls of your home? After 20+ years of eggshell white on every single wall, we now have khaki, tan, chocolate, burgundy, yellow, green, pink (Annie’s room) and lime green! I love the color now that we have it! 6. What is your guiltiest pleasure? Watching “Becoming Jane” for the nth time in the middle of the day when no one is home. 7. What time is bedtime and getting up time? Bed around 11, wake around 6. Sometimes, with teenagers, many wakeful hours in between! 8. How long do you spend reading blogs (per day or per week)? I am still trying to manage my blog life. I have all my blogs in Google Reader and I’m trying to organize them by folders. I have a daily folder that I read, well, daily! I have local blogs and I have “designers” that I like to watch. I have a huge batch that I follow that I can’t keep up with, so I’m trying to develop a system to manage them. I probably spend at least 30 – 60 minutes reading blogs every day. Fun to read more about you. I smiled when I read that you watch Becoming Jane in the middle of the day when no one is home. I do that with Pride & Prejudice.